We're excited to announce the winner of the fantastic ASPCA Summer Gift Pack pictured above... Let's all put our paws together in a round of applause for Rick Weitzel! 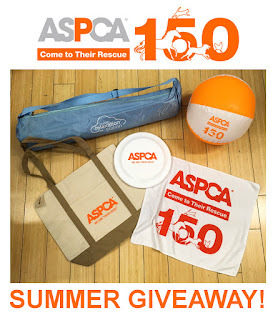 And a big thank you to the ASPCA for their generous donation of the gift pack! As usual, we let Rafflecopter pick the winner via Random.org....and here is our winner! We'd also like to thank all of you who participated in this giveaway and wish you the best of luck in our future giveaways—stick around because we have another one coming soon! And many thanks for those who followed our new blog on Twitter: @difficultowners Check out Dealing With Difficult Owners: From One Dog To Another and sign up for our mailing list if you're so inclined—we'd love to have you all as regular readers and contributors.